The final Regional Showcase took place this weekend, November 4-6th, in Southern California. Over 60 clubs were scouted in the highly productive and competitive Central and East Regional Showcases in Indiana and North Carolina, respectively. U.S. Soccer's Technical Advisors and Youth National Team coaches are finishing their focused scouting efforts of meaningful games this weekend, paying close attention to the West Conference clubs at the National Training Center in Carson, California. The matchups are carefully selected to provide meaningful games and a variety of competition. Each Conference showcase offers players three games against teams outside of their division, for many of the players this is their first experience playing teams from outside their division. The West coast teams maintained a high level of play, as was evident amongst all three Conferences, but the West Conference offered a unique difference in style of play from the teams in the South compared to those in the North. On the first day, the 26 U-13 teams kicked off the event with two shortened games apiece. This format allows for a focus on the individual development of the players within the team. It is an opportunity to provide a unique experience for coaches to push players out of their comfort zone in competitive games. 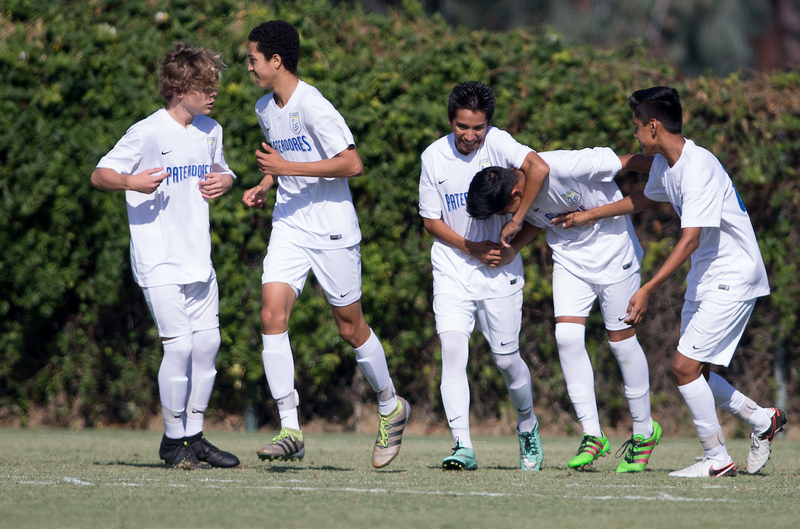 "Our biggest thing is that we're not about wins or losses, it's more on the development side, because at 13 and 14 we have a base that we need our players to get to, and things they have to learn," said FC Golden State director Jimmy Nordberg, who noted that the Academy teams begin playing for results at the U-15/16 level. Following a full day of 26 games, Friday night's action concluded with a stand-alone game on the Glenn "Mooch" Myernick field where the LA Galaxy and De Anza Force played an entertaining game under the lights in front of the full contingent of U.S. Soccer scouts and local spectators. The U-14s kicked off day two playing full-length games with high-scoring production. Among the most attacking-minded games were the eight combined goals scored in a meeting between FC Golden State and Ballistic United SC. "It's really good for our coaches and kids to learn through games as for what they have to do," said Nordberg, "And we see games that are 5-3 or 4-4 - that's what's great, because we see that the kids are trying things or experimenting in areas (versus) in the past they didn't because they had to win." The Development Academy is designed to provide a positive learning environment for players, coaches and referees. The showcase provides an optimal opportunity to bring these groups together in a development focused atmosphere. Off the field coaches have the opportunity to meet with their teams and players to review their performance and plan for the games ahead. The showcase also provides development opportunities for referees to receive valuable feedback from referee educators. They have staff that watch games live and review performance through video. In addition, U.S. Soccer Technical Advisors and scouts have the opportunity to talk with coaches and Academy Directors about the development of their players. After launching in the fall of 2013 as combined Under-13/Under-14 teams, the 2016 Regional Showcases were the first to see each age group play as separate divisions, providing scouts a chance to observe how each of the over 100 U-13 and U-14 teams are progressing early in their new season. One of the main objectives is for U.S. Soccer Scouts to identify talents and Futures for U.S. Soccer Training Centers and Youth National Teams. "This being the first year that we've come in and gone U-14s, 13s and 12s, I think that it's been huge adjustment, but more so a huge compliment to the Academy, " said Nordberg. "Everything has gone great - the fields, the games, the competition level - has been excellent."